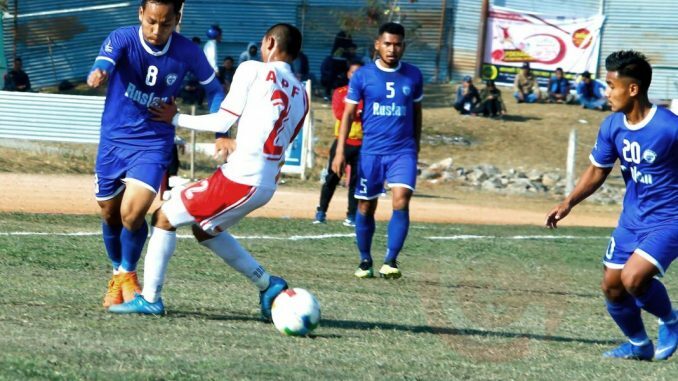 Pokhara–A 35-second solitary goal from APF Club sent Ruslan Three Star Club home. The surprise goal from winger Santosh Shrestha took APF to the semi finals of Pokhara Cup Football Tournament on Sunday. APF had another good chance to score in 26th minute but the club failed to utilize that opportunity. Three Star coach Meghraj KC said that the surprised goal created pressure against his team. APF coach Rajendra Tamang commented that they won as they succeed in their strategy. APF defense Ramesh Dangal became man of the match. Tribhuvan Army Club will take on Dafinse Club Cameroon on Monday.